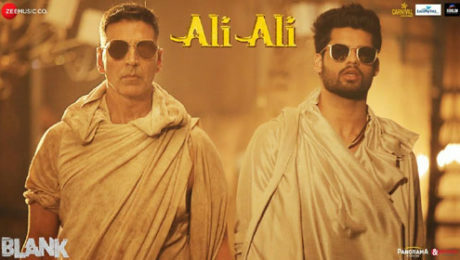 Ali Ali Lyrics from Blank featuring Akshay Kumar is latest song sung by B Praak & Arko. Its music is given by Arko while lyrics are co-written by Adeip Singh with him. Slow Motion Lyrics from Bharat starring Salman Khan and Disha Patani is latest Hindi song. It is sung by Vishal-Shekhar, Nakash Aziz & Shreya Ghoshal and written by Irshad Kamil. Bawli Tared Lyrics : Daler Mehndi & Sapna Choudhary have sung this song which is composed by Daler Mehndi. It is written by Daler Mehndi & Krishna Bhardwaj and directed by Sumit Bhardwaj. Jindey Ni Jindey Lyrics ft Parmish Verma from the movie Dil Diyan Gallan is sung by Kamal Heer. Its music is given by Sangtar and lyrics are written by Jasbir Gunachoria. Mukar Gayi Lyrics by Gurj Sidhu is recently released Punjabi song sung and composed by him. It is written by Sukh Sandhu while video is directed by Rupan Bal & Rubbal Gtr. Mafia Style Lyrics by Sidhu Moose Wala is a Punjabi song sung and written by him and music is given by Aman Hayer. Also get full audio of this song here. Mumbai Dilli Di Kudiyaan Lyrics from Student Of The Year 2 is sung by Dev Negi, Payal Dev & Vishal Dadlani. Its music is given by Vishal-Shekhar and lyrics are written by Vayu. Pakke Yaar Lyrics by Sumit Goswami is sung and written by him. Its music is given by the musician Kaka while video is directed by Deepesh Goyal. Tiger Alive Lyrics by Sippy Gill is Punjabi song which is written by Sulakhan Cheema. Its music is given by Western Pendu while video of Tiger Alive is directed by Mahi Sandhu & Joban Sandhu. Veham Lyrics by Dilpreet Dhillon feat Aamber Dhillon is Punjabi song sung by them and written by Narinder Batth. Its music is given by Desi Crew and video is directed by Rahul Dutta. Golden Daang Lyrics by Resham Singh Anmol feat Bohemia is Punjabi song sung by them and written by Kulshan Sandhu. Its music is given by Mixsingh and video is directed by Shar-S.